The girls’ lacrosse team huddles up before their game on Friday, which they lost 14-4 to Downers Grove North. 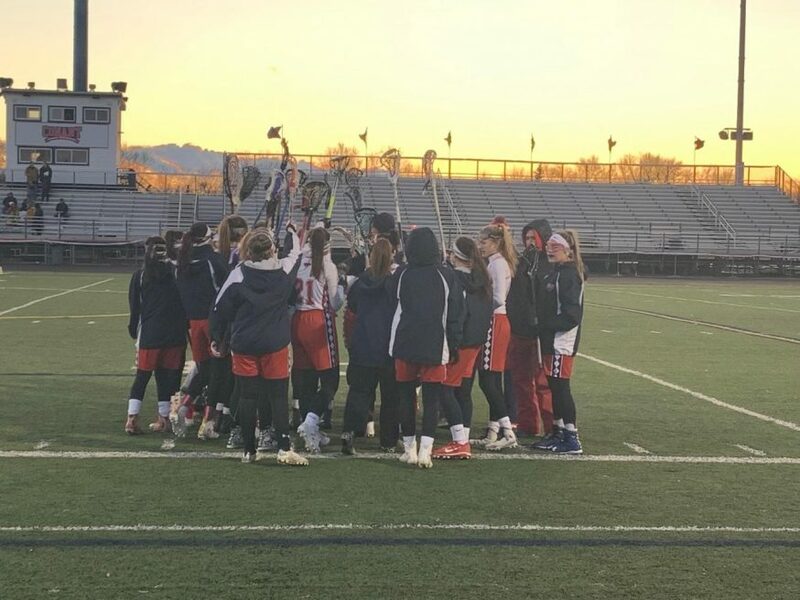 The girls’ lacrosse team has lost their first three games of the season, all with wide scoring margins. Last week, on Tuesday, they lost to Glenbrook North 13-5. Then, on Wednesday, they lost to Evanston 19-0. Finally, on Friday, they lost to Downers Grove North 14-4. Head coach Eric Jacobsen said, “We usually schedule pretty tough teams early to give us a measuring stick of where we’re at to see what we need to work on.” He added, “We are going to have time before conference after break to work on those things.” He also said that he is not disheartened about anything whatsoever. “It will eventually head in the right direction. Sometimes it takes more time with certain groups than others, depending on what the dynamic is, what the chemistry is,” Jacobsen said. The team will have its next game today at Nazareth Academy at 5 p.m.